Sertifiointi BSMI, CB, CCC, CE, CEL level 1, CU, ErP, FCC, J-MOSS, PSB, PSE, RoHS, TCO6.0, UL/cUL, VCCI, WEEE, WHQL, MEPS, RCM, TUV. 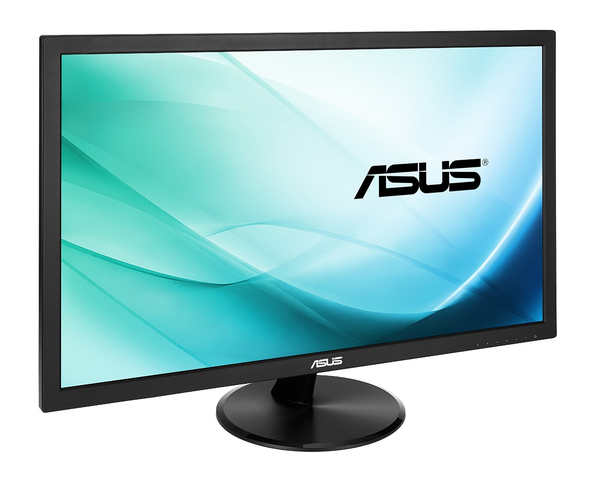 VP247T 23.6” Full HD monitor with 100,000,000:1 high contrast ratio, ASUS-exclusive SplendidPlus and VivdPixel technologies is optimized for the finest image and color quality. This approach extends to the study stand and slim profile without compromising style in ensuring stability and durability. When it comes to design, ASUS always have customers in mind – the ASUS VP247T features the ASUS-exclusive GamePlus hotkey with crosshair and timer functions. Gamers can select four different crosshair types to suit the gaming environment; while the latter keeps players aware of the elapsed time in real-time strategy games. These tools allow gamers to practice and improve on their gaming skills. 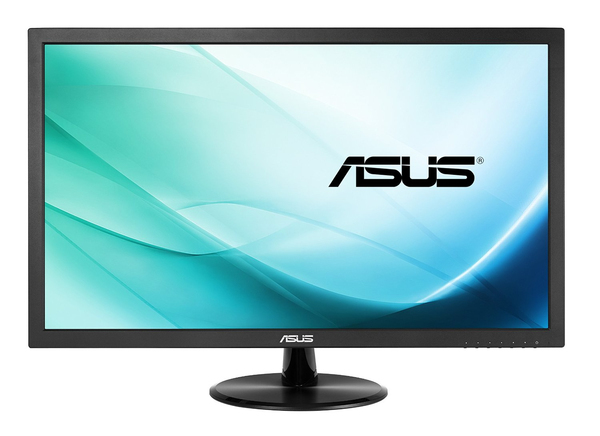 We’ve raised the bar by incorporating some of our proprietary technologies into the ASUS VP247T to give you a truly vivid visual experience. The VP247T features the new SplendidPlus™ Video Intelligence Technology that optimizes videos and images by enhancing color brightness, contrast, and sharpness. SplendidPlus™ features two new modes – Reading and Darkroom – in addition to the Scenery, Standard, Theater, sRGB, and Night View modes. Low-blue Light and Flicker-free technologies also reduce the strain on your eyes after long periods of use. The VP247T has undergone stringent performance tests and is certified by TÜV Rheinland laboratories, a global provider of technical, safety, and certification services, to be flicker-free and to emit low blue light levels. 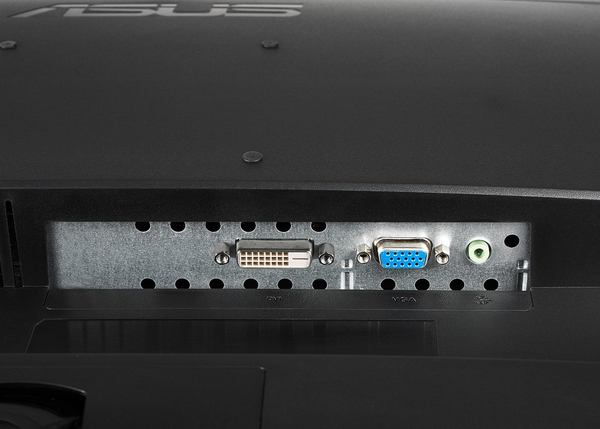 TÜV Rheinland-certified ASUS Flicker-Free technology designed to reduce flicker for a comfortable viewing experience. This minimizes instances of eyestrain and other damaging effects when you spend long, countless hours in front of a display. 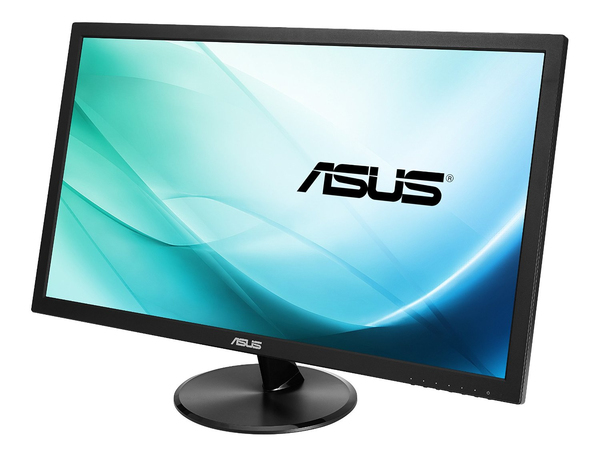 The VP247T also comes with the TÜV Rheinland-certified ASUS Blue Light Filter to protect you from harmful blue light; a new OSD menu lets you easily access and select four different filter settings onscreen.